I assume median finishing times would be much shorter? How about 100 mi and K? 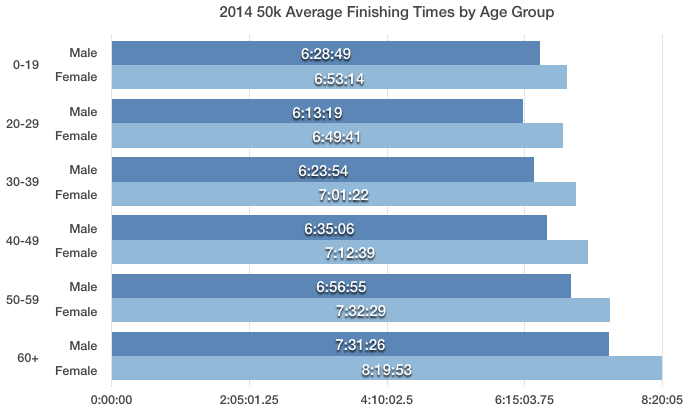 I think the times per age group might be more interesting.